Simple but precious. 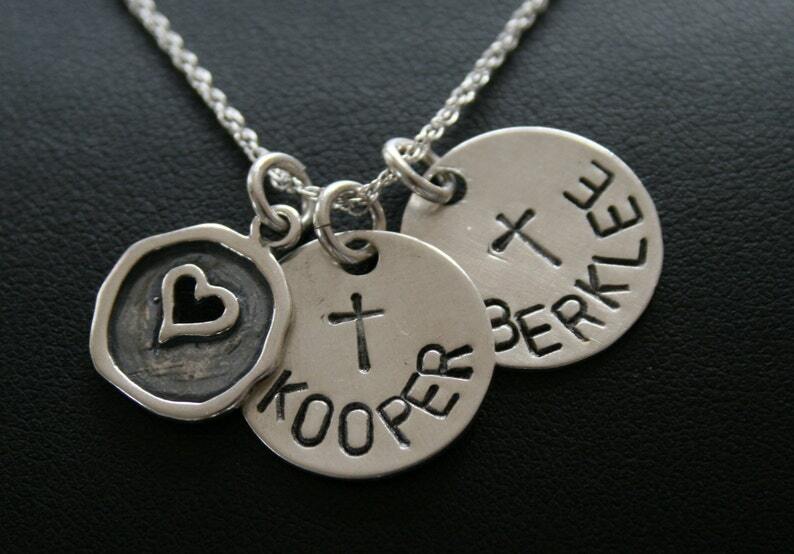 This listing is for 2 sterling silver discs, a heart charm and an 18" sterling silver chain. Just holler if you need more discs ($10.00 each), we will make a listing specifically for you.